It would seem that, that the complex can be a simple word? but, these characters play quite different roles in the Internet. Making as separate words with different meanings, and being a part of more complex words, also directly related to the Network. .NET Framework - is a development environment, needed to create and run a huge number of different programs. .NET Framework allows the shell without conflicts and errors with the application works, written in different programming languages. Besides, it adapts the software code for Windows operating system. NET Framework was established in 2002 year. It is believed, it was a response to a very common while JAVA platform. AND, as time has shown, the answer was more than successful. On the Internet are quite common sites with the domain .net. This second-level domain, which was originally created for sites, dedicated to the Internet and for companies, who work directly with the World Wide Web. 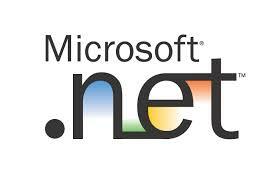 .Net domain today is not as broad criteria and can be used by ordinary users to create a variety of resources. In English language, the word net means network. This explains the value of the Internet term (Internet): international network of. Quite often you can find spelling of Russian word is not in Latin characters (net). it occurs, when a user is typing a message on the device, that does not support Russian keyboard layout. This can be a phone, Russian keyboard layout without (because not everyone knows by heart the location of the keys), operating system, does not support the Russian language, etc..
Runet (pronounced [runet]) - a Russian-language segment of the Internet. This term unite all sites in Russian. Formally, Runet to include only sites, featured on the .ru domain, ,are .rf, because these domains were created for Russian-speaking users. However, now you can find a lot of Russian-speaking sites on other domains, originally designed for a Western audience: .with, .net, .org, .biz t.p. Birthday Runet assumed 7 April 1994 of the year, When InterNIC registered the first national domain .ru.